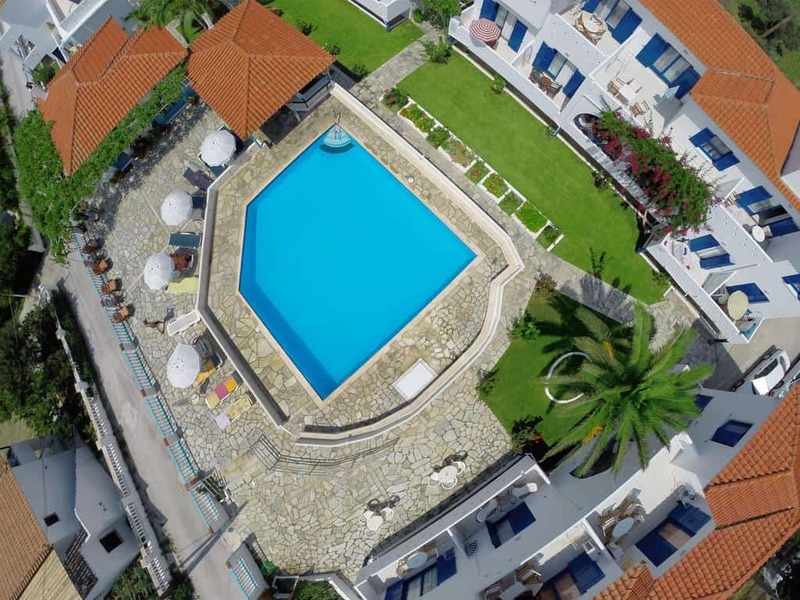 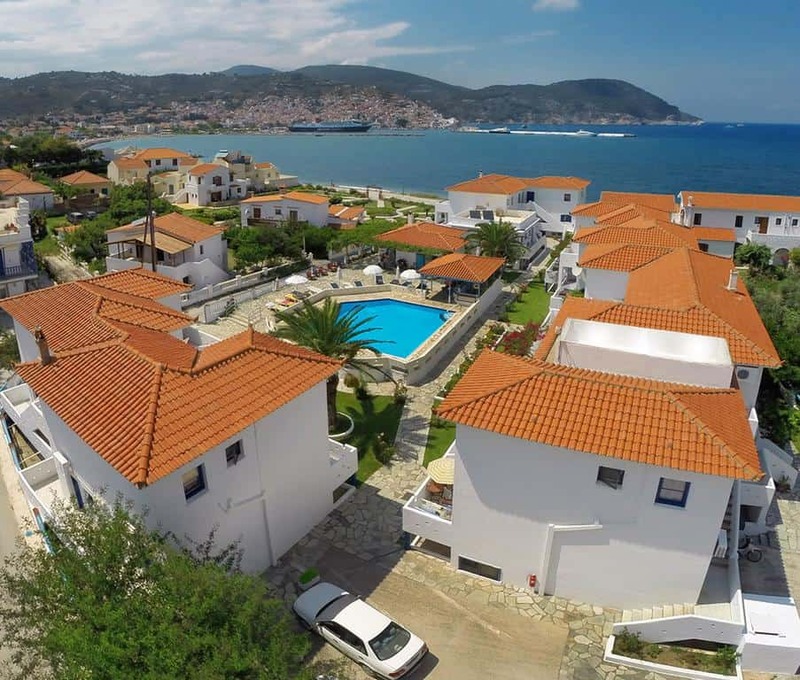 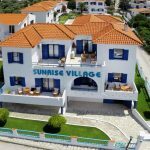 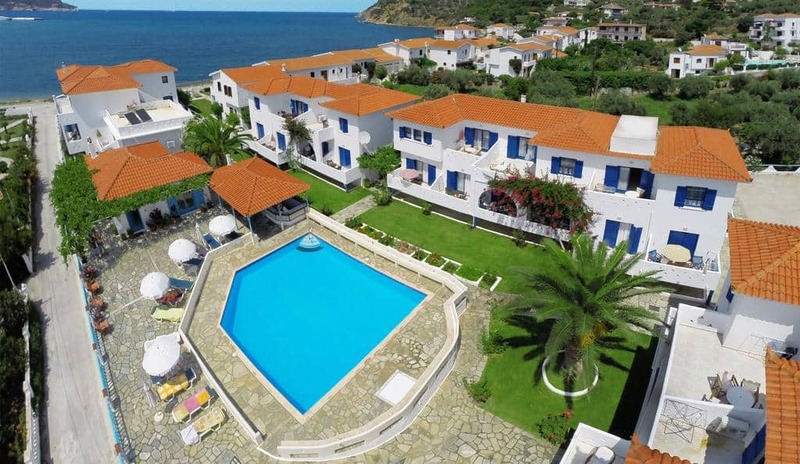 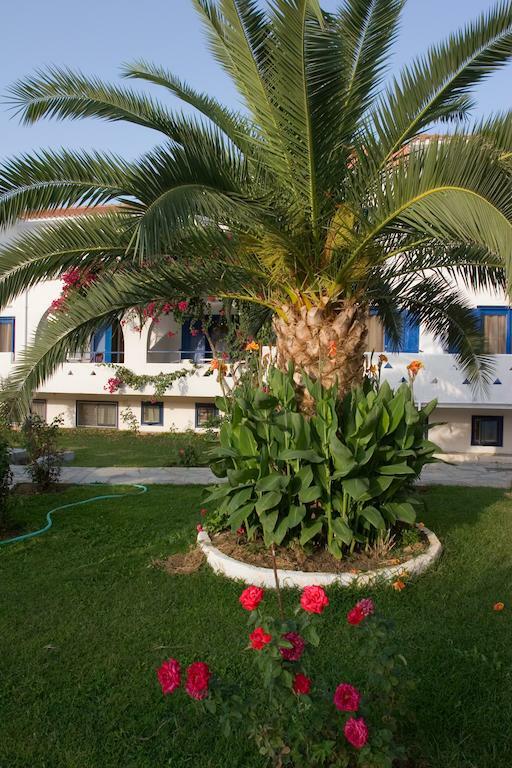 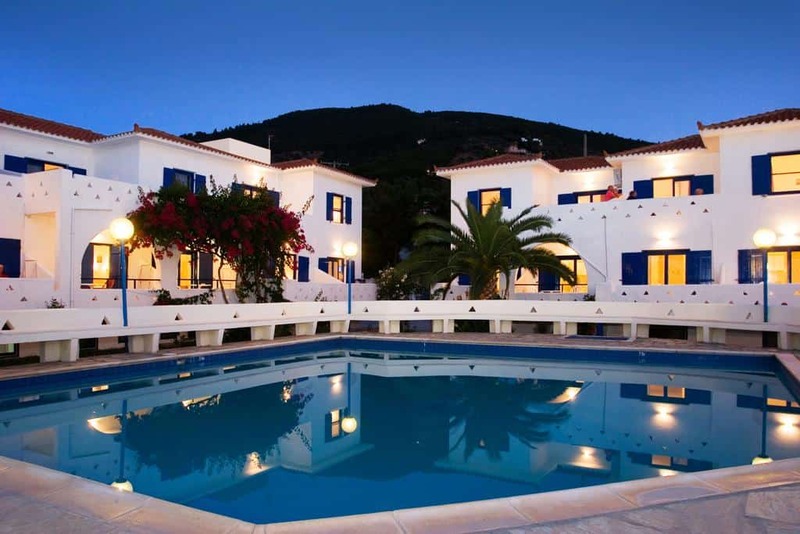 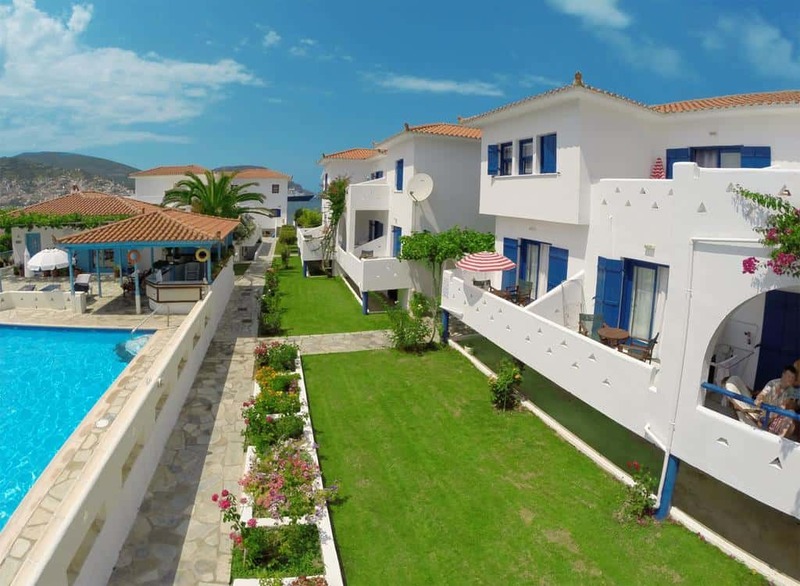 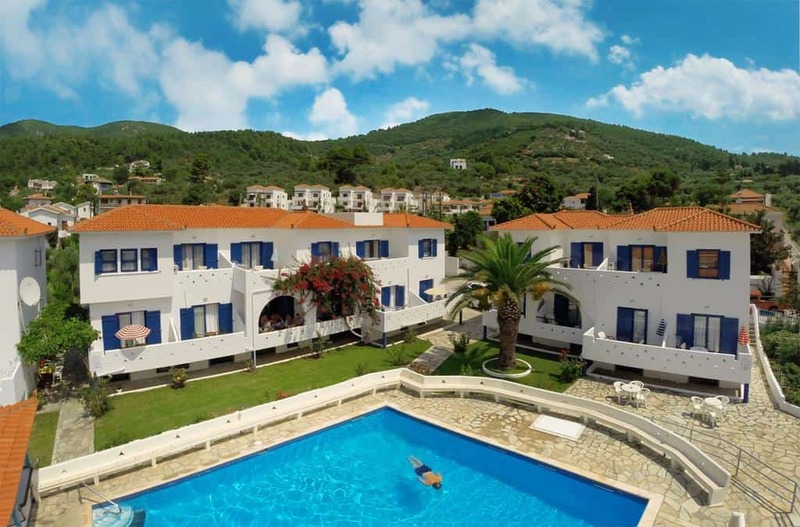 Sunrise Village Hotel is located in picturesque Skopelos Town. 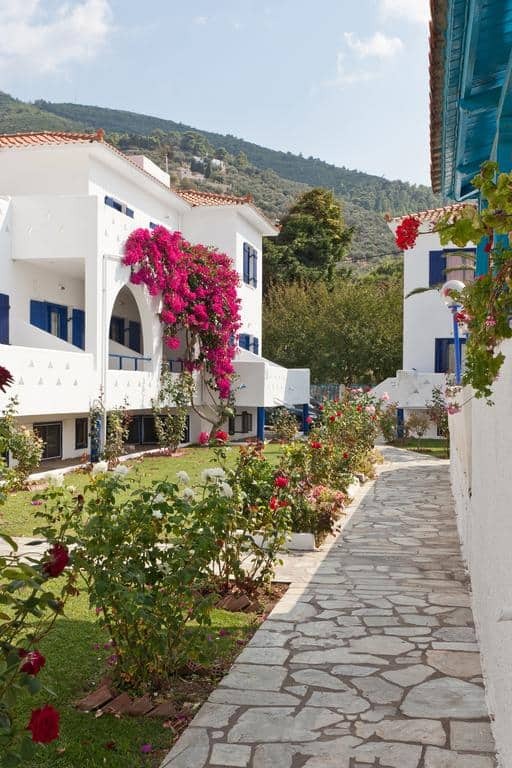 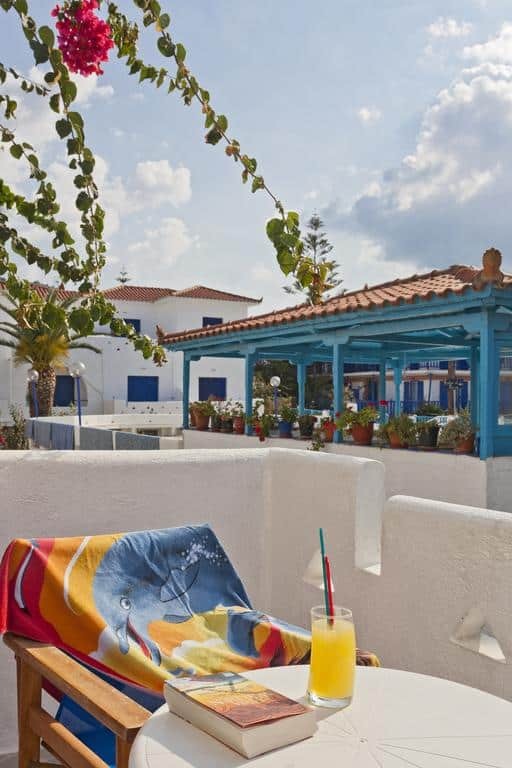 In fact, is just a one-minute walk from the beach and 700 meters from Skopelos market. 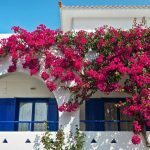 The hotel is very beautiful since it is full of bougainvillea flowers. 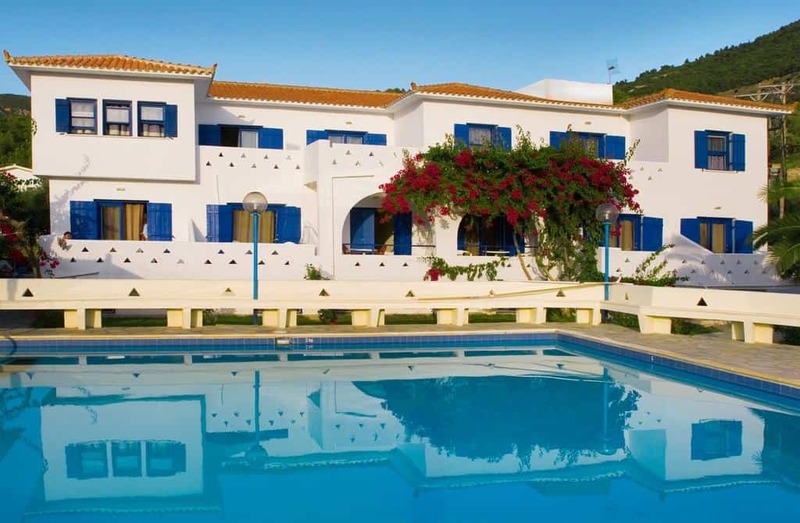 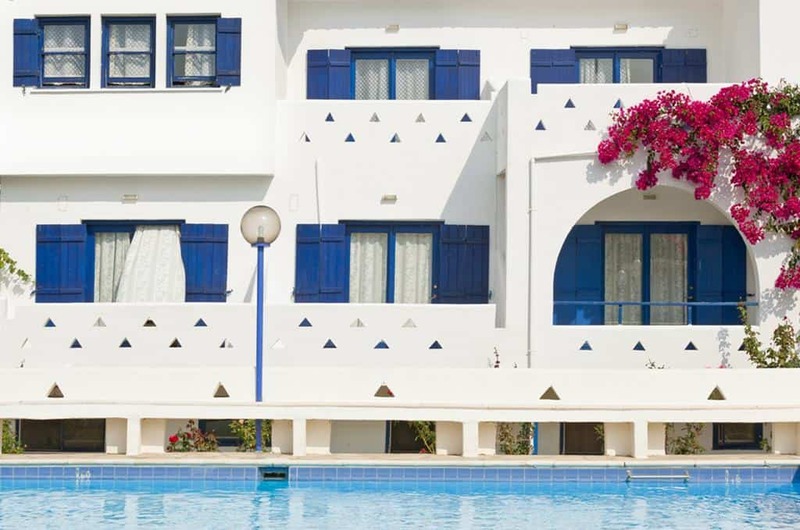 Moreover, it offers a swimming pool and self-catering units, free Wi-Fi and a balcony with a sea-view. 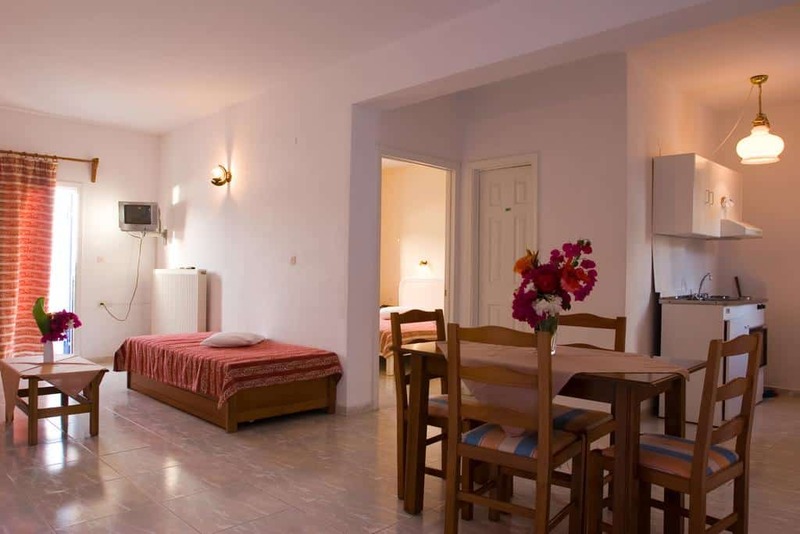 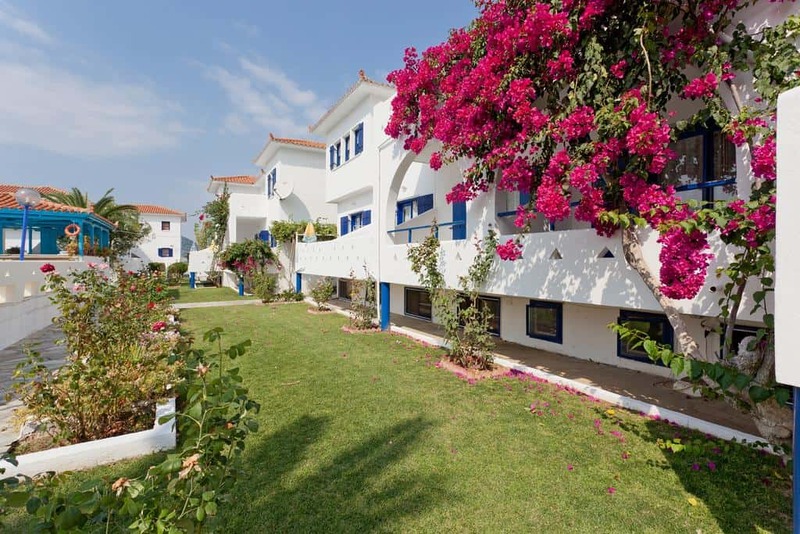 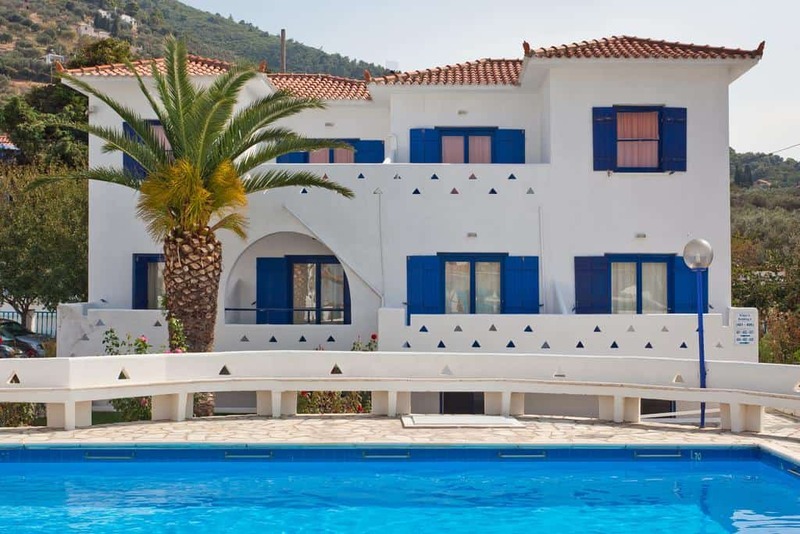 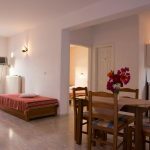 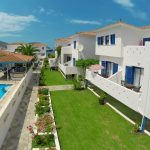 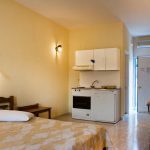 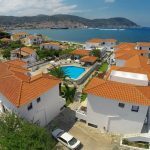 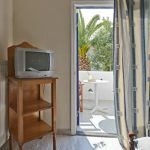 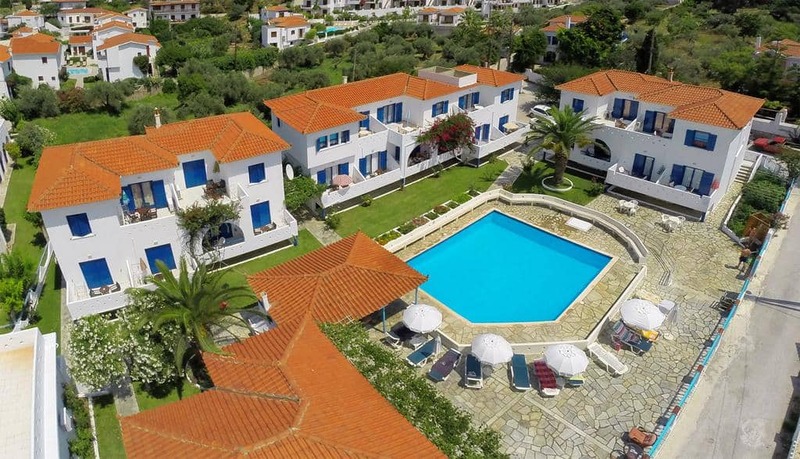 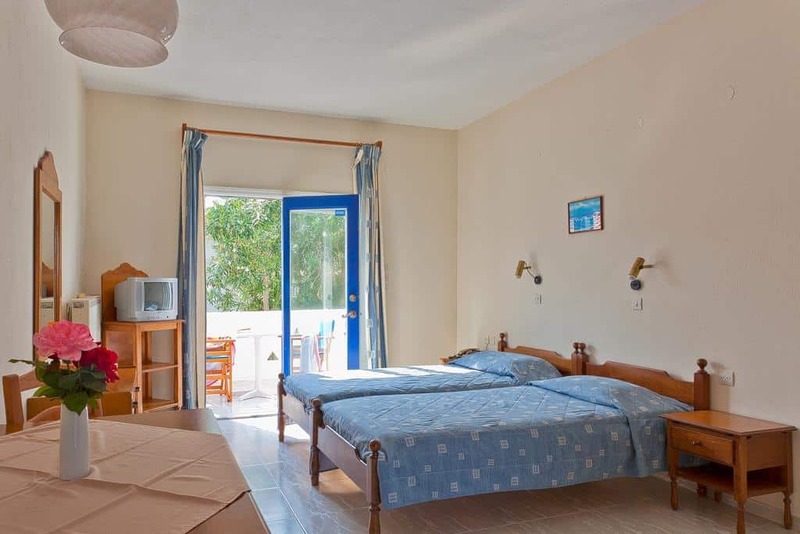 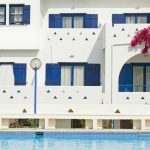 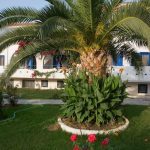 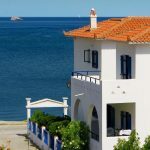 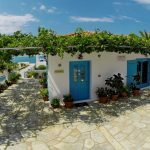 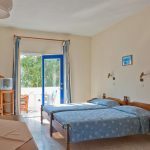 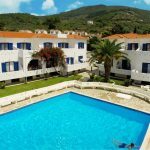 All studios and apartments, in Sunrise Village Hotel, on Skopelos island, have air conditioning, a kitchen with fridge and cooking hobs, and an electric kettle. 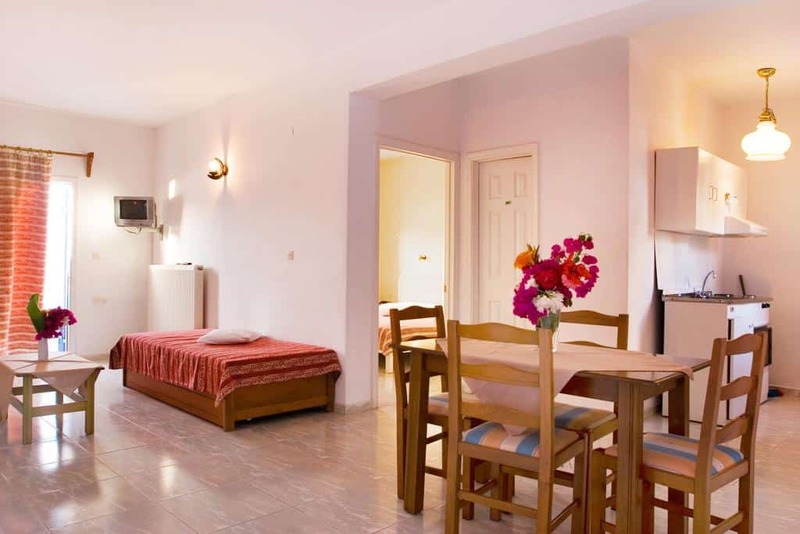 Some accommodation also has a dining area. 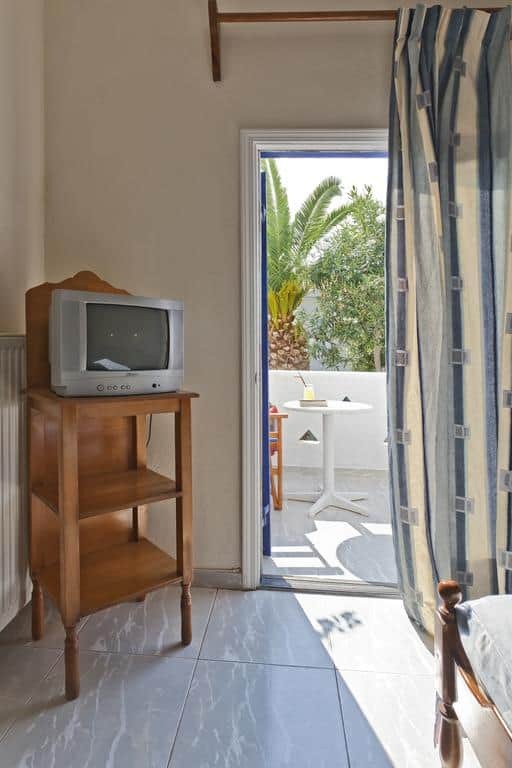 All units have a seating area with sofa and TV. 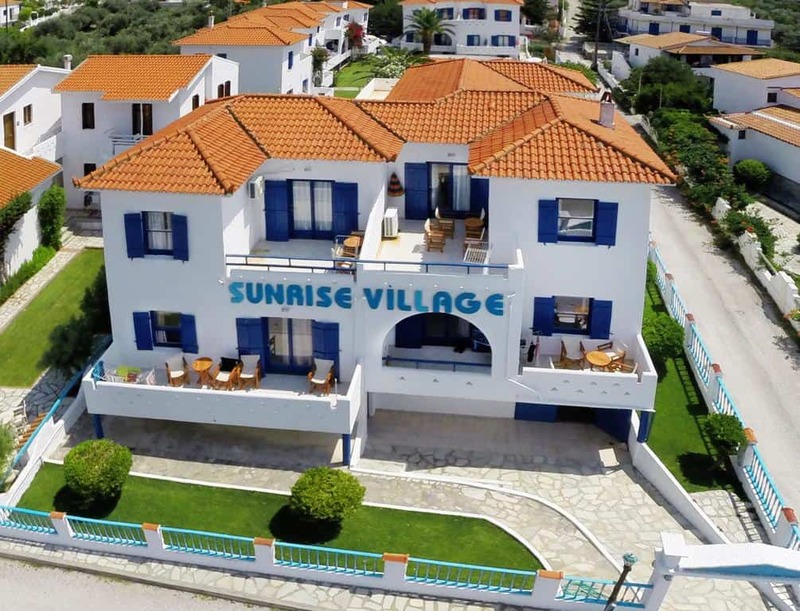 Furthermore, in Sunrise Village Hotel there is a pool bar and the pool area is fully equipped with sun loungers and umbrellas. 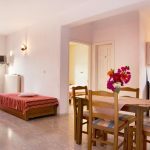 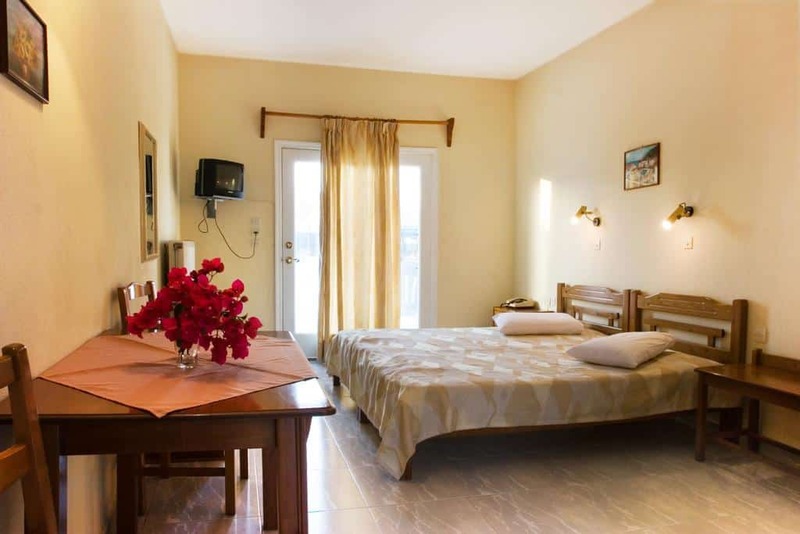 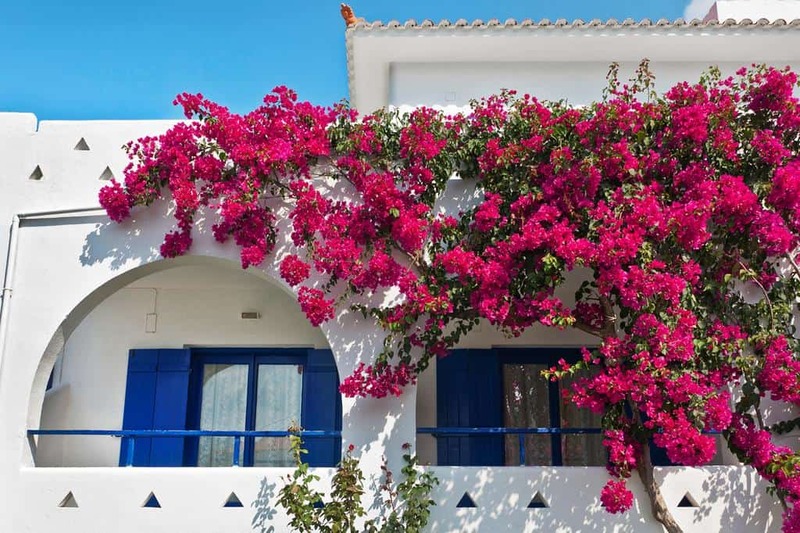 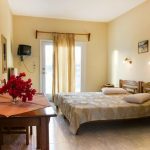 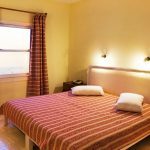 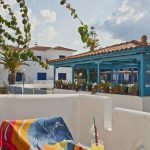 There are tavernas and restaurants, bars and cafes as well as seasonal shops and mini market within a 10-minute walk of Sunrise Village hotel. 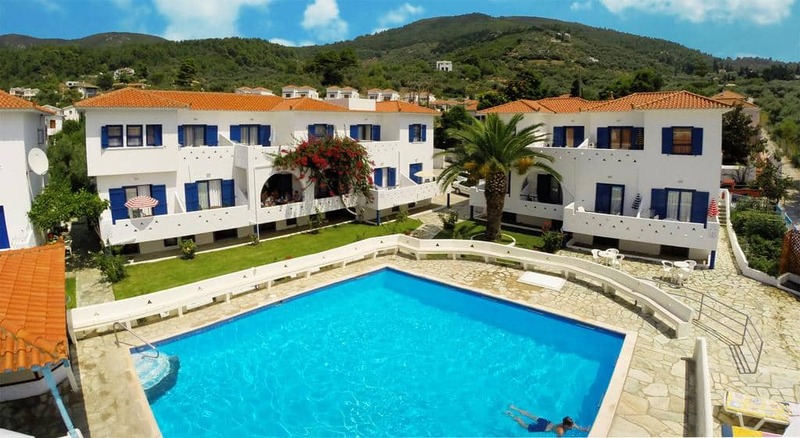 The hotel is located 700 meters from Skopelos port. 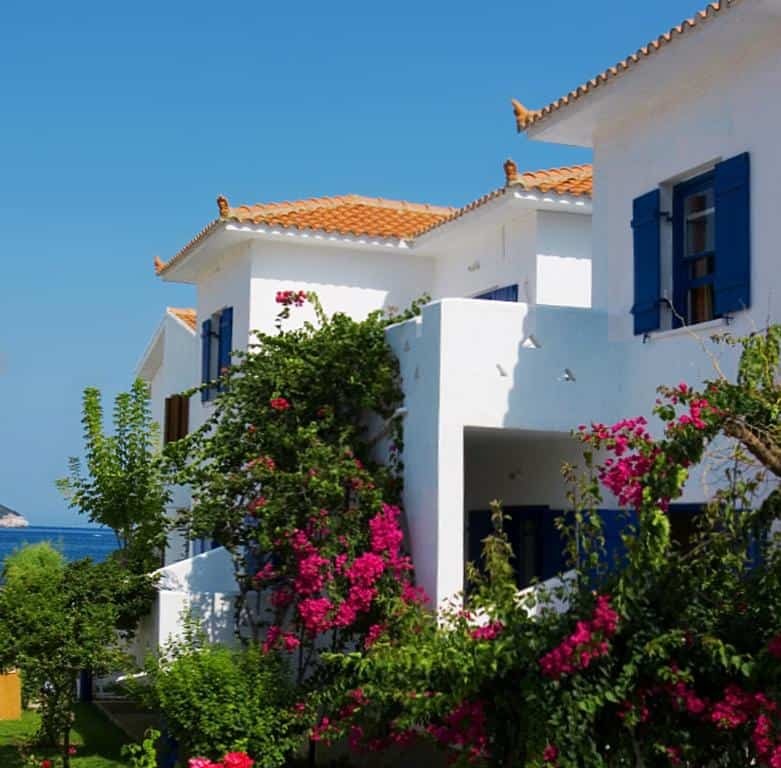 Car and bicycle rental services are provided. 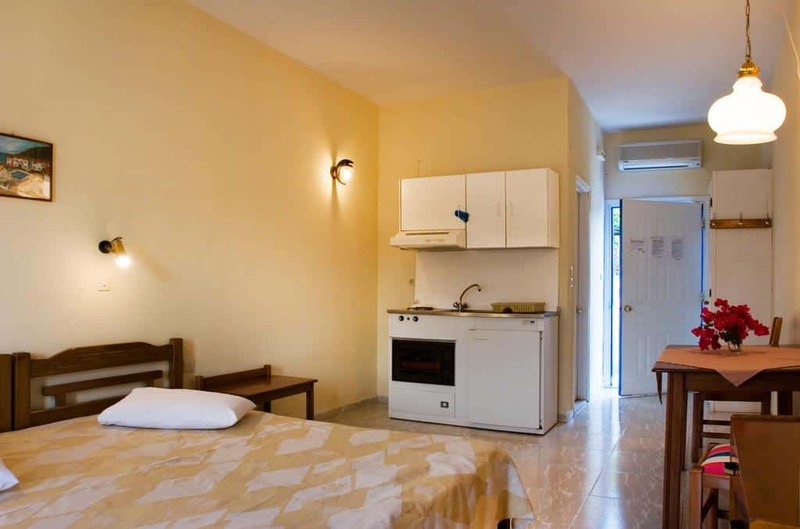 Free on-site parking is also available. 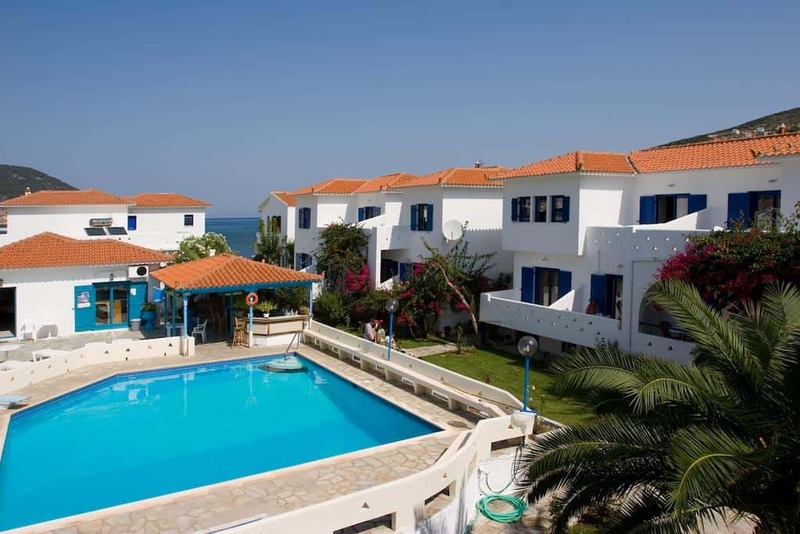 The scenic Stafylos beach is 4 km away from the hotel Sunrise Village. 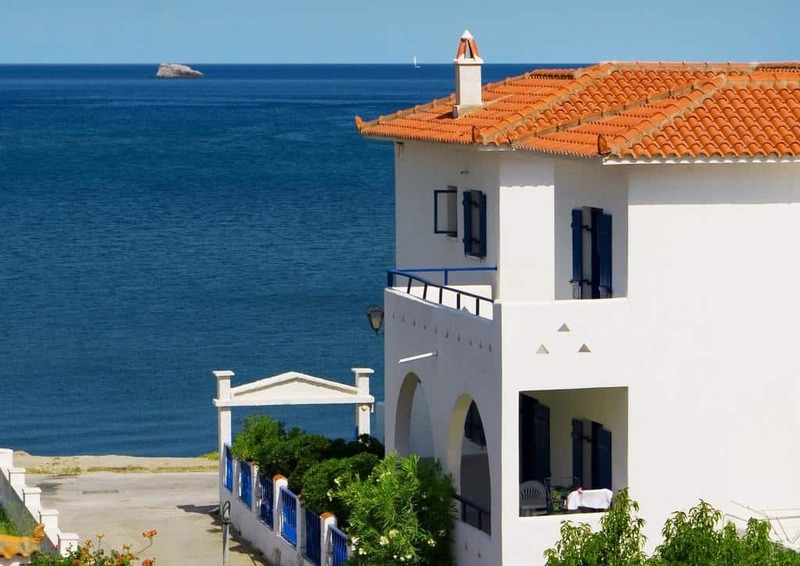 While the popular Panormos beach is approximately 12 km away. 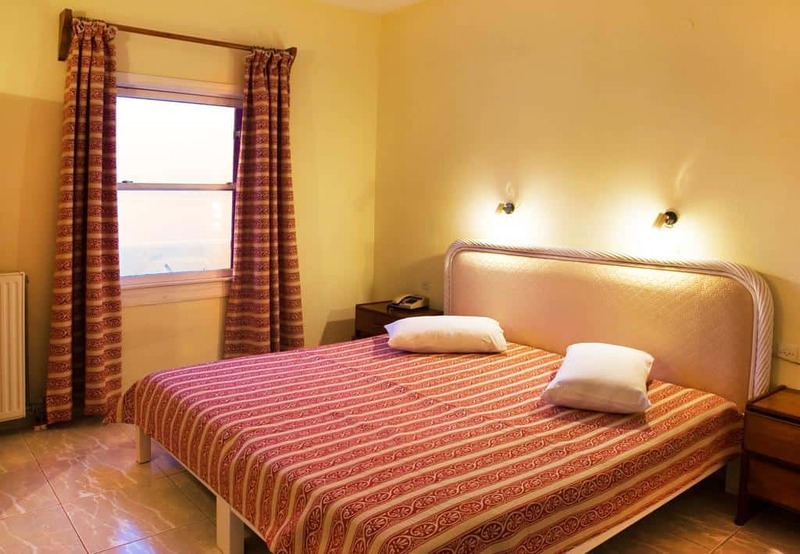 The famous Kastani beach is about 14 km away. 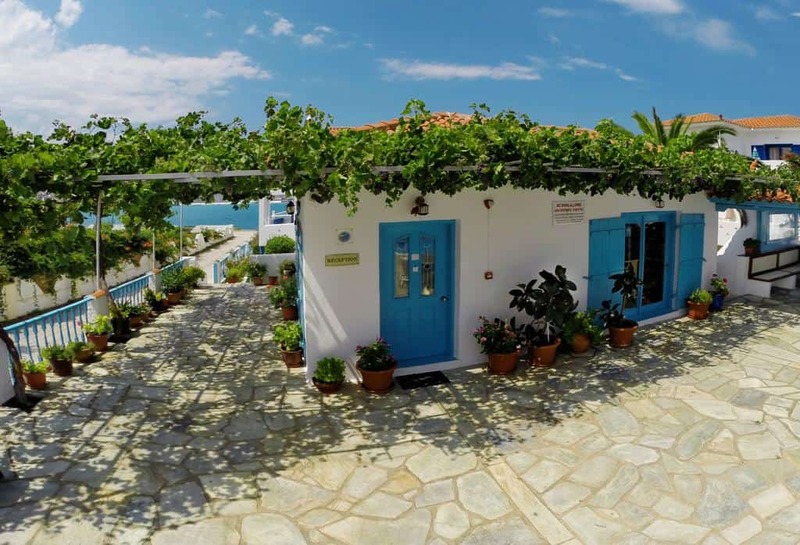 Kastani beach became famous since many scenes of Mamma Mia movie were shot there.